Description: Record Animoji videos with unlimited duration with this standalone app. This app uses the private AvatarKit framework, the same one that's used by Apple's iMessage app. It leverages ReplayKit's screen recording capabilities to allow for longer recordings than the standard app. You can also choose to record with or without audio. Karaoke mode: Lip sync to your favorite songs using Karaoke mode. Tap "Configure Karaoke", search for the song you want and select it. 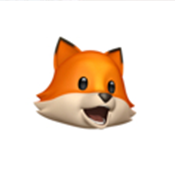 When you press record, the song will automatically start playing and will be recorded with your Animoji video. Step 1: Download the Animoji Studio IPA file onto your computer.